Find more information on the Perspective Series here. 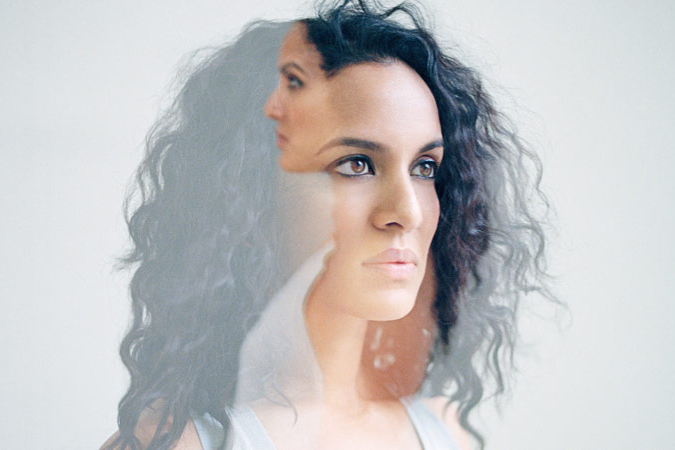 Anoushka Shankar’s concert in the National Concert Hall on Saturday, April 6th was that rare thing, a musical or theatrical event in Dublin that fully deserved its standing ovation. It was an astonishing two-hour, uninterrupted performance in which Shankar and her group played their accompaniment to a film made in India in 1928 (Shiraz: A Romance of India, dir. Franz Osten) relating the fable of how the Taj Mahal came to be built. The entire score was composed by Shankar herself, daughter of the great Ravi Shankar who passed on to her his unsurpassed knowledge of Indian musical forms, traditional instruments and folklore. The film takes us from an opening that would not be out of place in a 1950’s Western movie: a caravan, including women and children, protected by a group of armed soldiers, makes its way across the desert where it is attacked by brigands /thieves and slave traders. Not Arizona though; we are somewhere along the trail from Persia through what is probably today’s Pakistan. A little girl, of noble Persian ancestry, is the sole escapee. She is also the future wife of Emperor Shah Jahan .The story of the film – and the accompanying musical narrative – is the story of her rescue by a simple peasant and how she eventually ends up on the throne. As in opera and children’s fiction, there’s an all-important item that will identify the child eventually as “noble” thus rendering her acceptable as an empress. There is a heartless ruler capable of tenderness and love, dashing heroes and shifty baddies, a rich tapestry of overlapping stories – of love lost, found, reciprocated, misconceived, misunderstood, dramatic events involving threats from a cobra to the threat of dreadful violence (think of Gloucester’s fate in King Lear). Shankar and her fellow-musicians relished the endless scope provided by their source material. Her composition is, predictably, full of dazzlingly complicated rhythms, endlessly inventive and creative, enhancing the scenes on screen. While obviously rooted mainly in traditional Indian musical forms and instruments, there was also a lot of interesting cross-over music – even extending to that least traditional of instruments, a piano! This was a concert that will not be forgotten by anyone lucky enough to have attended, one that guarantees a scramble for tickets should the group return to the NCH. Perspectives – Keaton Henson’s Six Lethargies – Wed Apr 17 2019 08:00 p.m.
Perspectives: Meshell Ndegeocello – Wed May 29 2019 08:00 p.m.
Perspectives: Matmos – Thu Jun 6 2019 08:30 p.m.
Perspectives: Philip Glass Residency – Music in 12 Parts – Sat Oct 26 2019 06:00 p.m.
Perspectives: Philip Glass Residency – KOYAANISQATSI Live! – Sun Oct 27 2019 08:00 p.m.